You know its funny, I never have looked at myself over the years as thrifty with my recycling, watching what I used and what I threw away. I even grew up with a Mother who came from the WWII era and reused plastic zip log bags over and over again as well as other things. Waste was for not in my house. As I got older I think I just got over it and didnt follow what I was brought up with for many years. But then, you grow up a bit. Things become more about others and where we live and what we are contributing to the world and to life. At some point at least for me, I woke up a bit and thought wow why can’t really cool things be made with things that can be reused? Being in the sterling silver social selling industry for years I found I loved jewelry that was quality yet affordable but didnt think of recycled. Until I stumbled upon a few quality companies on vacation and I was hooked! MIAMI, Florida (CNN) — Fashion designers are giving new life to worthless candy wrappers, newspapers and plastic bags; turning trash into trendy tote bags, purses and jewelry. From “post-consumer and industrial waste” comes durable, funky accessories reportedly worn by celebrities such as Lindsay Lohan, Cameron Diaz and Petra Nemcova. How about 7.6 billion tons of waste? That’s how much American companies toss each year, according to the U.S. Environmental Protection Agency. During the past four years, Ecoist said, it has sold more than 100,000 accessories created by its designers in Peru and Miami, Florida. 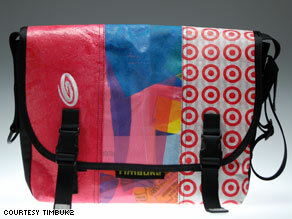 The bags — some of them one-of-a-kind — are priced from about $30 for smaller versions to about $180 for larger ones. “For now, we’re an immediate solution for many of these companies to utilize waste for something that’s creative and promotes environmental awareness,” Marcoschamer said. This year we are excited about launching a fun new platform for social selling to create a Sistervibe that isn’t out there yet. With Fabulous products, a platform that will have special features that others do not have for their business & for a group of likeminded people with entrepreneur mindsets that want a connection to others in a way that will help themselves, their families and their lifestyle while helping the world one pretty trinket or vegan bag at time. What are your plans in 2019? Need a new vibe? Looking for a new platform to change your world? We hope you will follow us as we explore more about Eco conscious designs and why while growing a vibe of like minded Fabulous people who want a business of their own and a world thats clean for living! Happy 2019! See you soon!